What is the New Sales Professional Tool? HubSpot Sales Pro is nothing new; we’ve been using it for ourselves and clients for several years. 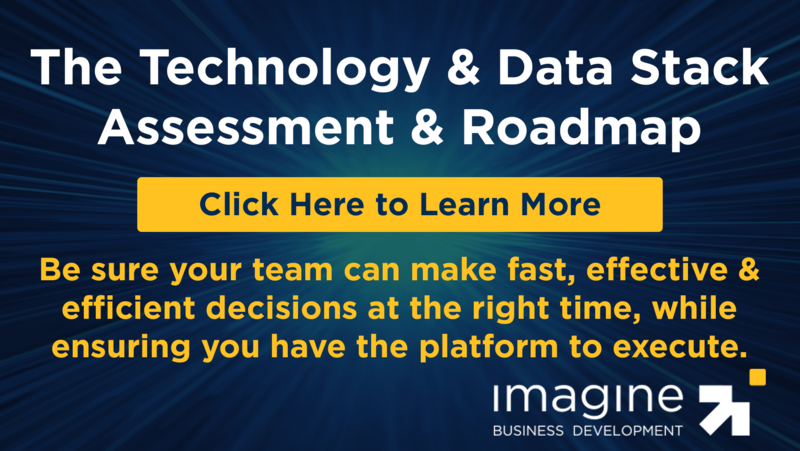 It’s also a tool we wholeheartedly recommended to a wide variety of growth-focused organizations. HubSpot Sales Starter: The legacy product (the one I’ve been working with for years) has been renamed HubSpot Sales Starter. HubSpot Sales Starter kept several of the core features and maintained the legacy pricing of $50/user/month, with no minimum number of users. 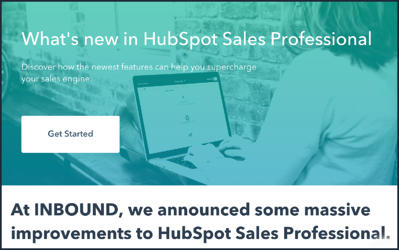 HubSpot Sales Professional: The Sales Pro moniker has been applied to a “new” product that added some additional features, and promises to be a stronger match for serious mid-market sales teams. Pricing for Sales Pro was increased to $80/month/user, with a minimum of five users, which means that Sales Pro carries a $400/month minimum fee. This review will focus on the Sales Pro tier, though in my conclusion I will share my conclusion on both tiers. A core part of HubSpot’s Sales products’ value proposition is the breadth of tools you get with the products. In this section, I’ll go over features found in both tiers, and then cover new functionality that’s found only in the Sales Pro tier. CRM: HubSpot’s free CRM is an integrated part of both Sales Starter and Pro. Snippets: If you’re tired of entering the same greeting, conclusion, lists or any repetitive entry into emails or notes in the CRM, you’ll love Snippets. Snippets are short, reusable blocks of text that you can use across the product. It also integrates with your Gmail account. Email Templates: Templates provide users access to a library of pre-built, customizable email templates that can be used by your sales team. In addition to providing the library, the product also tracks performance metrics of each template. Templates integrates with Gmail and Outlook. Documents: The Documents feature collects your library of documents, sales collateral and presentations so they can be easily accessed and tracked by each member of the sales team. It also allows you to know when prospects are engaging with content, and find out what’s important to them by tracking which pages they spend the most time on. Meetings: With Meetings, you’re able to enter a simple link in email, chat, website or virtually any other type of digital communication channel that syncs with your calendar and makes it easy for leads, prospects, customers or anyone you want to meet with to get it scheduled. Never go back a forth in an effort to find a mutually convenient time for a meeting or a phone call. Calling: HubSpot’s autodialer makes calling easy. Not only can you easily make individual calls or put a group of contacts together to work through your sales rhythm, it also automatically counts the activity (no more tick sheets for salespeople) and allows you to record calls. Users get 500 minutes/user/month with Starter, and 2,000 minutes in the Pro version. Notifications: From HubSpot’s very first entry on sales productivity tools (Signals), notifications have been a core part of the product. You get real-time notification whenever someone opens or clicks on an email or visits your website. Notifications gives salespeople an edge in aligning their actions and messages to their prospect’s mindset. Send Later: With Send Later, you can schedule your emails to be delivered at whatever time you feel is best. Sequences: Sequences can be an effective tool in managing prospecting activities. Sequences provides a simple form of sales automation, and allows you to group various email templates and actions with predefined timing. Live chat: To keep up with how messaging and chat are gaining momentum, HubSpot is expanding the capabilities of the Messaging app (now renamed to Live Chat). Reporting: HubSpot CRM (and Marketing) come with preset reporting dashboards. With the Sales Pro, the account (not the user) gets an additional reporting dashboard. Multiple Deal Pipelines: Many companies that either sell multiple products or that have multiple sales cycles (like a land-and-expand approach) find that managing all opportunities under a single pipeline is not sufficient. These organizations will greatly appreciate Sales Pro’s ability to create multiple pipelines, each uniquely crafted to the sales process. NOTE: This feature has been removed from the Free CRM. Teams: Allows you to create multiple sales teams (by region, product type, focus, or whatever your heart imagines) enabling you to segment for different rules and reporting. Workflows: With workflows you get sales-side automation that can automatically rotate leads, create deals and tasks. NOTE: This feature previously required having their Marketing product, but with it being added to the Sale Pro tier, it has been removed from the Marketing product. Predictive Lead Scoring: HubSpot’s algorithm automatically scores leads or you. Required Fields: Hubspot has added the ability to require certain fields to be completed has been added. Products: HubSpot has added the ability to add the various products/services and pricing you may sell. Smart Send Times: HubSpot has added the ability to deliver emails at the time they recommend to maximize the probability of engagement. Smart Notifications: Surface the most relevant notifications to the top of your activity feed and make sure the hottest leads never fall through the cracks. Salesforce Integration: If you’re using Sales Pro and not Marketing, you can sync with your Salesforce CRM. Lots of Features, but How Good are They? The good news is that HubSpot has added a lot of features to the product, reinforcing the proposition that with one product for one price, you can get a wide range of functionality. The important question, however, is how valuable are these features, and do they justify the higher price and greater commitment? The Workflows feature is a great addition to Sales Pro. The lack of ability to automate deal creation, rotate leads and create tasks was a big weakness in the legacy product. Unfortunately, this only matters to companies that are using HubSpot CRM and Sales Pro that weren’t using Marketing. If you’re already using the Marketing portion of the tech stack, this isn’t really an addition. Of course, with the change, sales-side workflows are no longer a feature of the marketing product. In certain use cases, the Smart Notifications feature can also be valuable. The ability for a rep to quickly and easily see who has most recently engaged or who is “hot” can be powerful. Unfortunately, the formula used to prioritize these notifications is neither customizable nor clearly communicated, so it doesn’t do anything beyond generalized sorting of lead engagement. I’m a big fans of the Products and Required Fields features as well. These two features were also holes in the legacy product, and I’m glad to see they were addressed in this version. Pricing: The biggest benefit of Sales Pro is still that you only need to pay for the product for those users who will use it. A free CRM for general users, combined with a power tool that only requires payment for select users is still a strong proposition and major advantage versus Salesforce. While much is being made of Predictive Lead Scoring and Smart Send Times, neither of these features are particularly useful in their current iterations. “Predictive Lead Scoring” is one of the those popular buzzwords that’s filled with great excitement, but for 99.98% of customers it’s not going to be useful. Predictive lead scoring in general is only valuable for organizations that have big enough data sets that are clean and clear enough to be predictable. The Smart Send Times feature promises send-time optimization that theoretically assesses when the recipient is most likely to engage with emails. We’re big fans of send-time optimization (you can read about its impact here), so I was excited to see it built into a HubSpot product and applied to the sales side. While the feature holds promise, in its current form, I have no idea what it’s basing its send time recommendations on. This is clearly a feature that still needs work. HubSpot’s Reporting tool is still a work in progress, and Multiple Deal Pipelines and Teams are important, but are not worth the premium fee, especially for larger teams that must pay for the added functionality for each user on the platform. Lastly, I’m unclear of the purpose of Salesforce Integration, as I can’t imagine many use cases where someone uses Salesforce, Sales Pro and not HubSpot Marketing. The Final Take: Is the New HubSpot Sales Pro a Must Have, Nice to Have or Not? I’m still a fan of what HubSpot is doing on the sales side of the tech stack, and I see a lot of promise. The problem is in HubSpot’s decision to require five users while raising the price. It’s now a $400 product, and that puts it into direct competition with other powerful tools like Salesloft, Salesforce Inbox. Making the choice between Sales Pro and other tools comes down to how important is the price of the tool vs. its full capabilities and impact. At this point, HubSpot Sales Pro (when combined with HubSpot CRM) is simply not complete or powerful enough to get a strong recommendation from me if price is less of an issue, and the capability and impact is the more important issue. For companies dealing with more complex sales cycles, and where sales acceleration is more important, that cost should be used for other combinations to support the full sales stack. HubSpot Sales Pro and HubSpot Sales Starter are strong products for companies that are still in the earlier stages of sales team maturity and are looking to gain a wide set of capabilities for a relatively low cost. With HubSpot’s track record and focus on the sales side, I’m confident that these tools will continue to get stronger and will ultimately be able to serve even the most demanding of sales organizations.